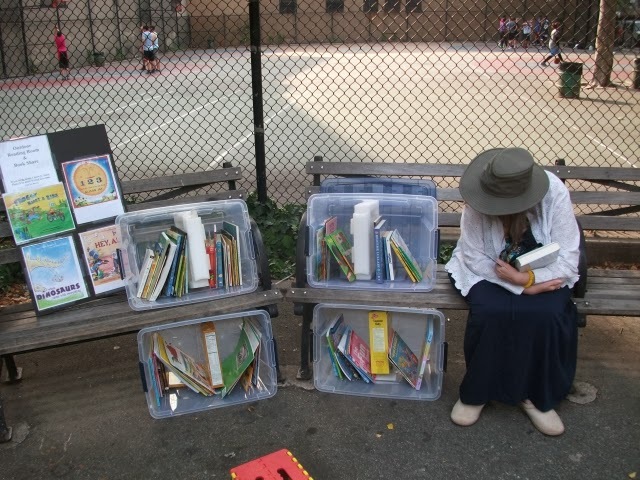 As part of Park Chelsea effort to offer more recreation opportunities for residents of Chelsea we've wanted to create outdoor reading rooms (aka ReadFi hotspots) for kids. 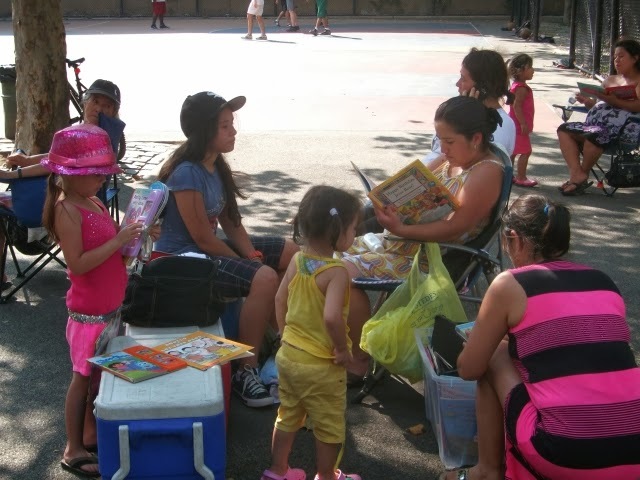 Research consistently shows that children who live in low-income neighborhoods have little access to reading material in their public libraries, in their schools, and at home. 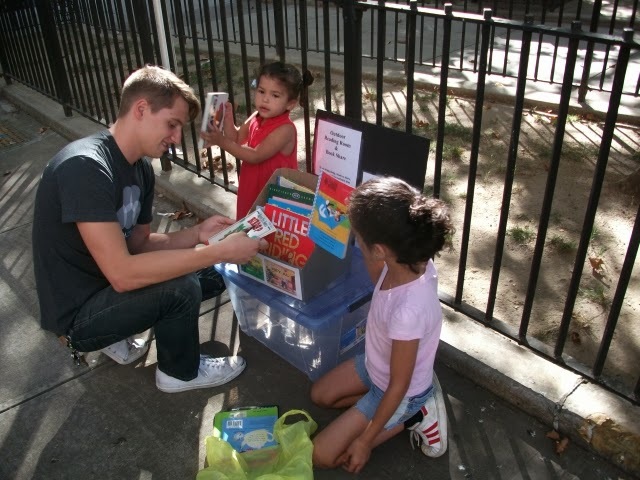 After investigating access to reading material in different neighborhoods, Neuman and Celano (2001) concluded that that " ... children in middle-income neighborhoods were likely to be deluged with a wide variety of reading materials. However, children from poor neighborhoods would have to aggressively and persistently seek them out" (p. 15). 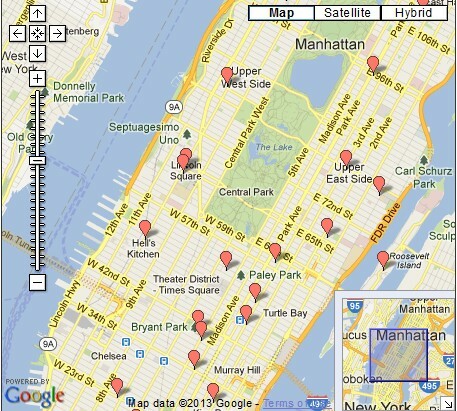 As it turn out the west side of Manhattan including Chelsea is a library poor community. 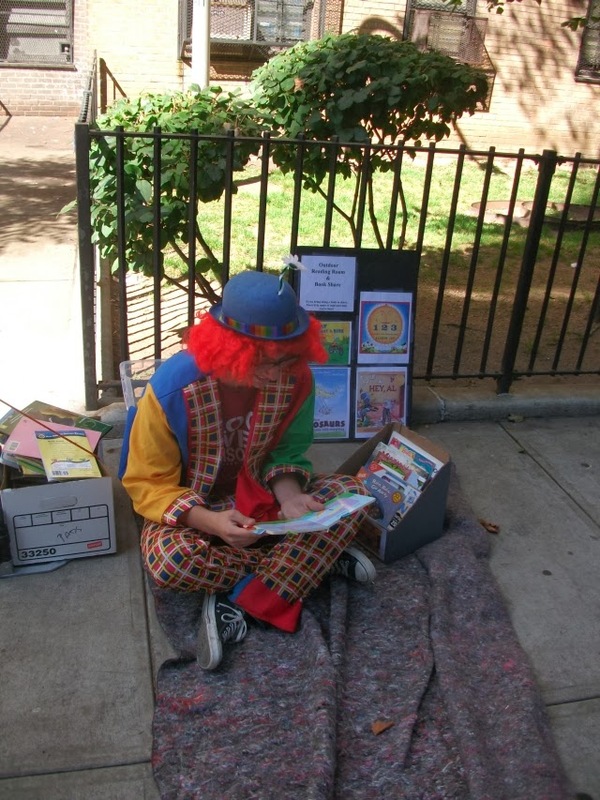 To offer more public reading opportunities here are several experimental ReadFi hotspots that we've set up. . We've applied for a grant and if we get it we intend to install a network of permanent ReadFi hotspots throughout Chelsea. Every weekend a extended family makes Penn South Playground their backyard. We placed a ReadFi hotspot there on a few weekends here's some photos.